Wells Fargo CEO John Stumpf was caught stealing from low-income bank customers, and then put the blame on low-level employees. “Stumpf” is a German adjective for someone who’s obtuse, slow on the uptake, imperceptive, or to put it bluntly, stupid. Ironically, it also happens to be the surname of Wells Fargo’s CEO, who’s now mired in the most shameful banking scandal yet. For seven years or so, John Stumpf has presided over a venal bank policy, pressuring Wells Fargo’s retailing employees into systematically stealing from particularly vulnerable, low-income customers of the bank. During this time, he padded his own fortune with more than $100 million in personal pay. When this mass rip-off was recently exposed, Stumpf -- the big boss getting the big bucks to be in charge -- pleaded ignorance. In an act of what Senator Elizabeth Warren called “gutless leadership,” he publicly blamed the corrupt corporate culture on thousands of the bank’s low-level employees. 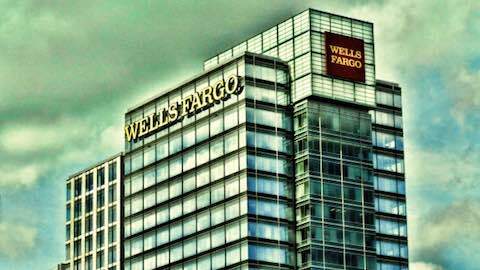 But the chief wasn't the only stumpf at Wells Fargo. Where were its board members, who are empowered and duty-bound to set, monitor, and assure ethical corporate behavior from the top down? For seven years, this 15-member board of governance sat idle, apparently incurious about their corporation’s flagrant, widespread thievery, even after a 2013 report by the LA Times exposed it. Far from investigating and clamping down, the board kept shoving multimillion-dollar bonuses at Stumpf and other top executives. Bear in mind that this is a powerhouse board, made up of top executives from other corporations, former government financial officials, and big time academics. And they are extremely well-paid to be diligent, getting up to $400,000 a year to keep Wells Fargo honest. What’s at work here is the ethical rot that now consumes America’s entire corporate system -- a stumpf system that steals from the many to further enrich the few, buying off the integrity and vigilance of those who run it. OtherWords columnist Jim Hightower is a radio commentator, writer, and public speaker. He's the editor of the populist newsletter, The Hightower Lowdown. Distributed by OtherWords.org. Business: "The Stumpf Banking System"